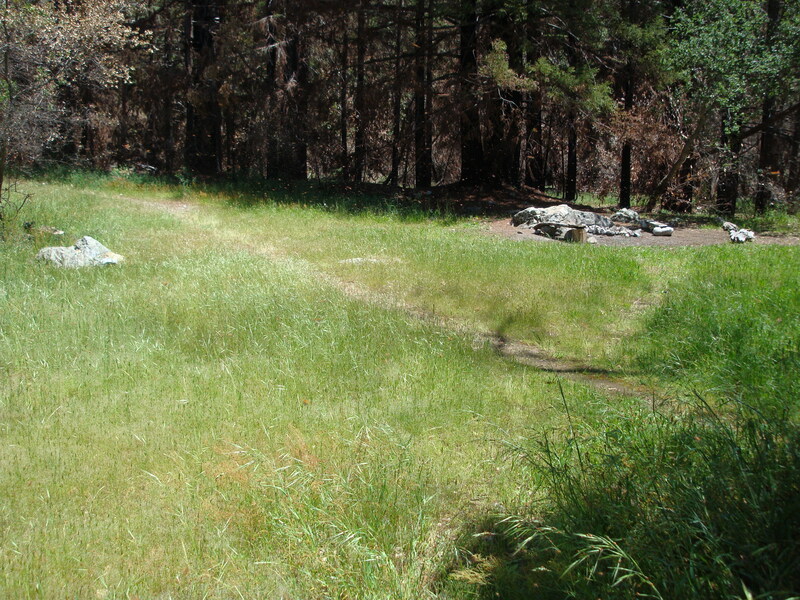 This pleasant and popular camp is charmingly situated on redwood shaded flats along the banks of Hare Creek. It would no doubt be more popular still if the drive to the trailhead was a bit shorter. The trail begins across Hwy. 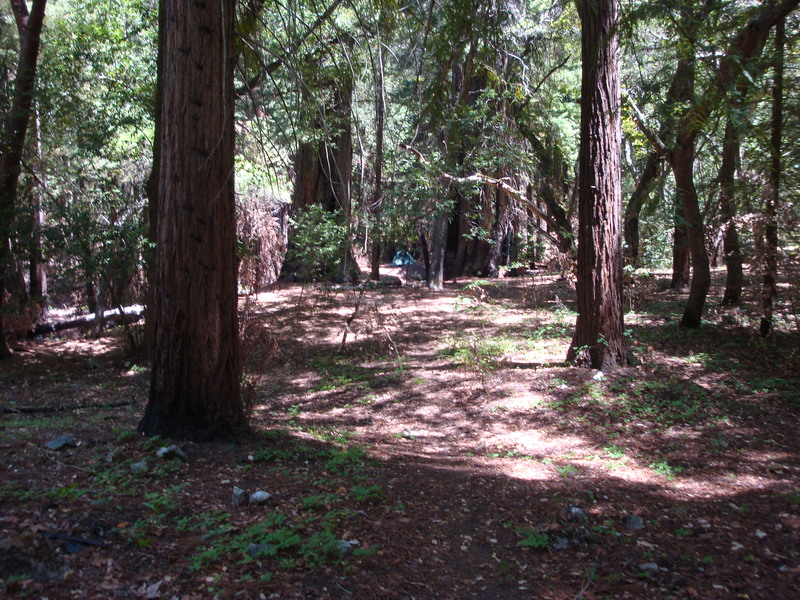 1 from the Kirk Creek Campground (over 50 miles south of Carmel) and reaches Vicente Flat after 5 miles and (with ups and downs) probably more than 2,000 ft. of climbing. See this post for a description and photos of trail conditions on May 16, 2009. The view from Cone Peak is rewarding, but the climb from Vicente Flat isn’t fit for a dog.